SKU: EIN33. Category: Kutch Collection. Tags: cushion, dowry embroidery, India, pink, red, shisha, vintage, hand embroidered. 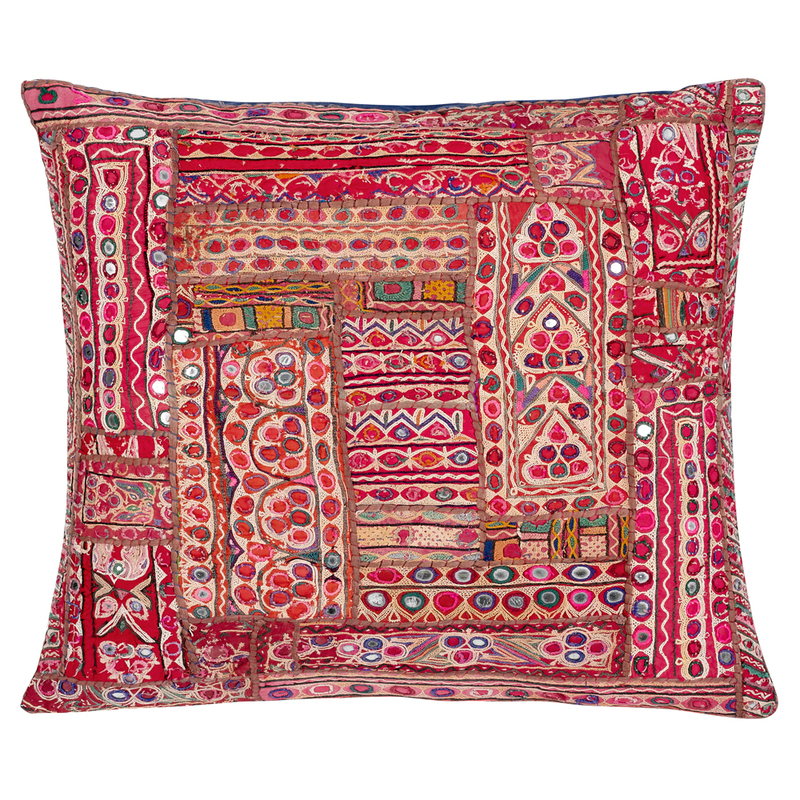 A beautiful, richly patterned, cushion cover in a palette of reds and pinks, featuring traditional mirror work used to reflect light in tribal huts. 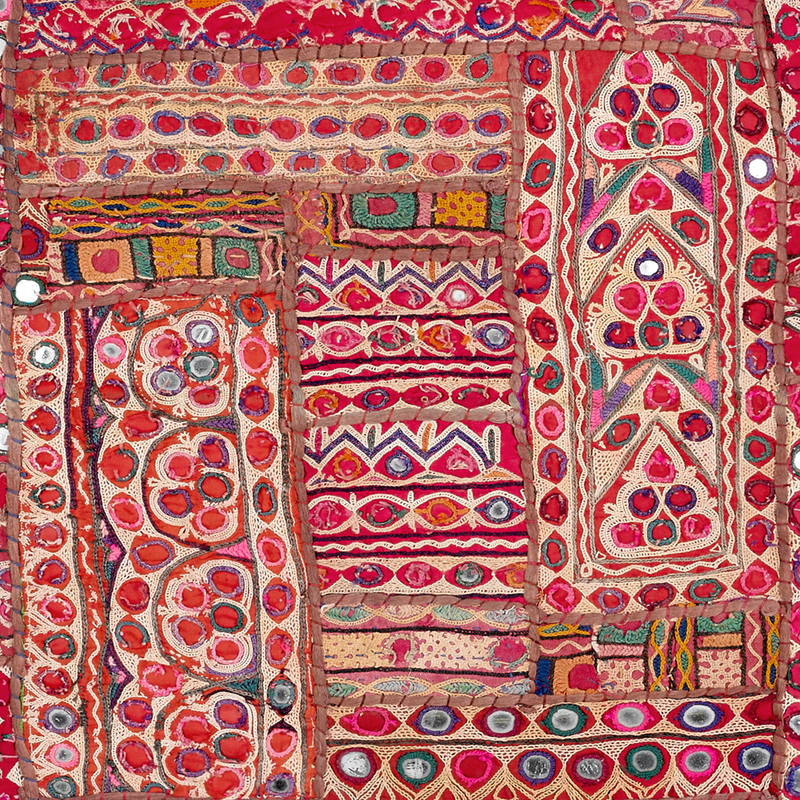 This unique piece is a collage of hand embroidered segments from vintage tribal garments. Scroll over the image to see the design in more detail. The cushion is backed with a blue linen mix fabric. Please note that this cushion cover is made from vintage fabric so there may be patches and imperfections but we think this adds to its charm. This piece works well stand alone or mixed with other pieces in the collection to create a boho look. Please note the cushion pad is not included.